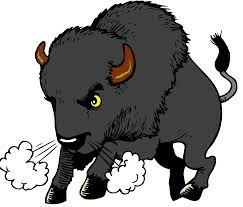 THE SPOKANE POLICE DEPARTMENT, SPOKANE COUNTY SHERIFFS OFFICE, AND SPOKANE COUNTY PROSECUTORS OFFICE STRUGGLE WITH WHAT TO DO ABOUT “THE BUFF”!!! It shouldn’t be the way it happens, but it is! Investigative Journalism requires the reporter to have and maintain strong and reliable sources throughout the Community, I’m fortunate that I have gained the trust of many and have been able to expose hidden conduct in a number of areas, including SPD, SCSO, and the Spokane County Prosecutors Office. Exposing inappropriate conduct isn’t without coast as recent events demonstrate. Protecting my sources, is something very, very important to me and like a few other Journalists I am willing to go to jail to protect them, and my sources know I will protect them at all costs to myself. As most people know, corroborating information I receive is critical something I go out of my way to do before I write a story and most times I do it via the Public Records Act and a Public Records Request. The PRA and the ability of to oversee government conduct is the right of every Citizen or Journalist and as my followers know I use that legal right often. I have received considerable information lately regarding the low morale at SPD and Internal Investigations involving allegations of Brady v Maryland issues reported by officers against other officers which included notification to the Spokane County Prosecutors Office as usual and as a part of the investigative process I have submitted Public Records Requests, I’m sure to the complete dismay of SPD brass. Yesterday, I received just one public records response corroborating information I received about a battle going on between SPD Officers and Units within SPD as some battles between SPD Brass. The City Council, nor the Public Safety Committee are of course in the dark about what is going on, and if history proves are unlikely to really want to know. At this point, without getting into a lot of detail I am going to provide my readers with some very telling evaluations made by SPD Officers during a training session this spring. Keep in mind that these records are not ordinarily made public, and in many cases, SPD doesn’t want the Public to see them. I am providing a link to the entire response I received so that you can make your own judgement about what they show. Please note that the lowest rated class was the “Admin Talk” training section. That section involved SPD Chief Craig Meidl or his designee informing the Troops supposedly on a number of things gong on in the Department. Keeping in mind that I am privy to a lot more information than the General Public regarding what is going on I am going to highlight some of the Evaluation written comments and make some comments of my own the details of which will come to light later. Yes, folks there is some rift among the Troops and SPD Administration regarding the Major Kevin King issue. And that confusion could explain all the reprimands for not turning Body Worn Cameras on when they are supposed to be. Many agree that the taxpayer funded new Computer Aided Dispatch and Records Management System provided by the vendor ‘New World Systems, isn’t the “game-changer” it was sold as being, but of course that is something, and even though they agreed to pay for it via a vote, the Public should be kept in the dark about…right?? “This is a game-changer for us,” Sheriff Ozzie Knezovich said. Yup, exposing the truth will make some people happy, but on the flip-side exposing the truth can make for lifelong enemies. Previous PostA LOOK BEHIND THE SCENES OF LOCAL POLITICS!! !Next PostTHE BOARD OF COUNTY COMMISSIONERS HAVE A FULL PLATE OF MEETINGS THIS WEEK!! !